SAN FRANCISCO, CA – Unfortunately we are unable to report that a food truck has received a star Michelin rating; however we are proud to announce the mobile food industry can say it now has the owner of a 1 star brick and mortar restaurants within its ranks. Food Truck Chef/owner Carlos Altamirano of the Sanguchon truck in San Francisco received his first Michelin star at his restaurant La Costanera also in San Francisco. The Sanguchon truck serves up several variations of the sanguchon, including beef, chicken, pork (i.e., adobo de cerdo), tuna, also crispy chicharron of both chicken and pork. For vegetarians, a portobello variation called el campesino (“the farmer”). With a fryer on the truck he also serves yuca, platano, and potato fries. The sanguchon, a modern Peruvian sandwich Altamirano calls “the new thing” in the land of his birth. 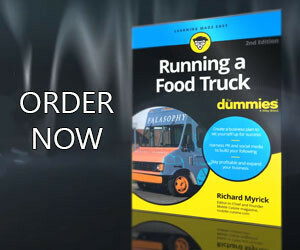 There have been some other chefs who have received Michelin stars while they were Executive Chefs or working in the kitchens (Ludo Lefebvre – Ludo Truck in Los Angeles and Wes Holden – Jacques Tacos in Detroit) at restaurants receiving this award but we believe that Chef Altamirano is the first combination owner of a restaurant and food truck to receive a Michelin star. 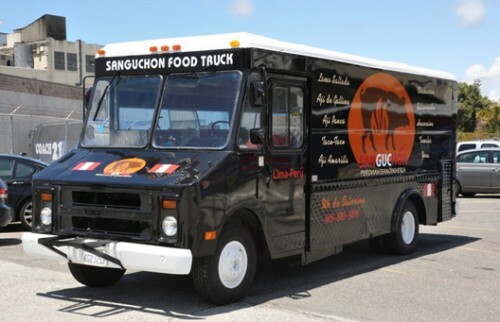 You can follow the the Sanguchon Peruvian Food Truck on Twitter <here>. Hopefully in the very near future the folks at Michelin will start awarding their prized stars out to the mobile restaurants delivering gourmet meals across the country.